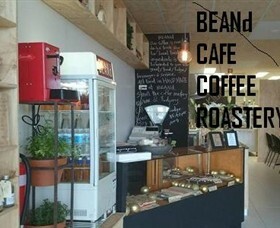 BEANd cafe is a handcrafted micro coffee roastery with good food and a fudge store. Fresh local produce is used to make yummy food. How simple is that! The best green coffee beans are sourced from around the globe & roast them with care and love. Small batches are roasted daily, so the freshest coffee can be delivered to BEANd customers. The brunch menu goes all day to satisfy your breakfast, morning, lunch and afternoon tea needs. This small cafe is run by chef owner Graeme. Hope we can rescue your hungry tummy! The house-made fab fudge is gluten and nut free. There are free fudge tastings daily, so stop past and try some of their delicious fudge. BEANd is open breakfast and lunch Tuesday to Sunday. The Goldsmith's Gallery located in the Bridgeview arcade, San Remo, showcases the work of some of Australia's most talented and respected jewellers, goldsmiths, makers and designers. The Goldsmith's Gallery is a member of the Gold & Silversmith's Guild of Australia and specialises in jewellery repairs, battery changes as well as remaking and remodelling your jewellery. The Goldsmith's Gallery is also a studio and workshop where you can view a goldsmith or jeweller working on their designs. By purchasing from The Goldsmiths Gallery you support local artists, and enable Australia's craft and design culture to continue for future generations. 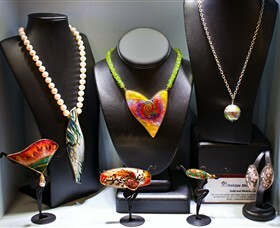 An assortment of Jewellery related classes are also available during the week and on weekends. For details please see the website. If you want something that is unique and Australian made then you must visit The Goldsmith's Gallery in San Remo.